No Sesame. All Street. Not many taglines sum-up a film as well that one does. 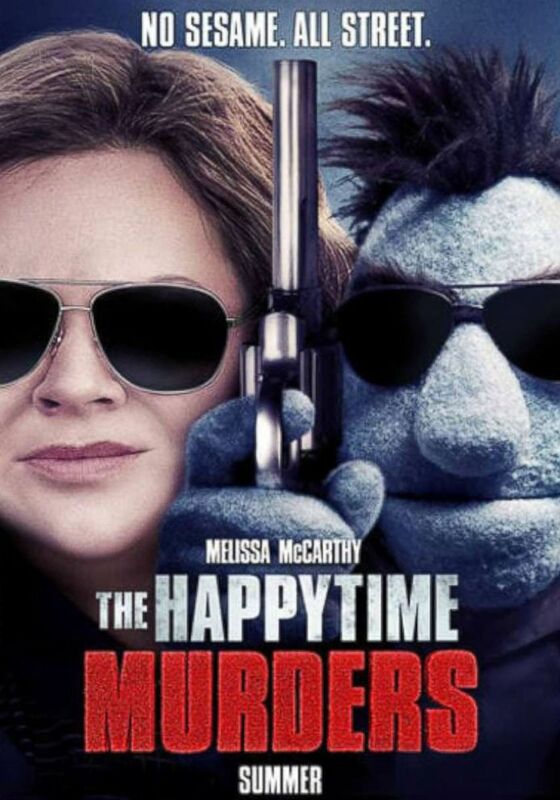 The Happytime Murders follow two dysfunctional, unorthodox cops as they investigate a spate of contract killings. The catch: The victims are puppets in a world where characters from shows like Sesame Street exist alongside humans. It is the kind of concept that has a lot of potential and could be very funny. The fact that they have aimed this movie as an R-Rated comedy plays well for this. Taking something usually as wholesome as puppets and creating an adult-aimed comedy works well and saw films like Ted becoming very successful. There is also a strong cast. The puppets speak for themselves and the design is clear but with Melissa McCarthy as the human cop, you have a comedy actress who can hold a film together and is very funny. This one could be a great, hit movie. Warning: The following trailer contains adult content. Overall, The Happytime Murders could be a stand-out comedy this year. It could also have potential to launch a decent, different sort of franchise. Well worth a watch.